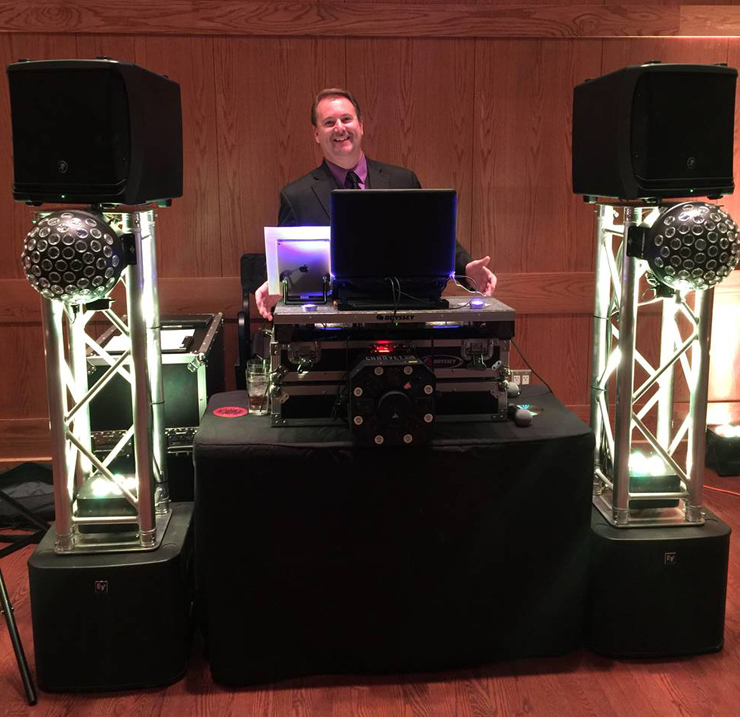 DJ Ken Grose has been a Professional Wedding DJ since 2007 and looks forward to the next wedding with the same excitement as if it were his first! He enjoys large crowds of people having an awesome time. Ken Keeps everyone on the dance floor and makes clear introductions and announcements. 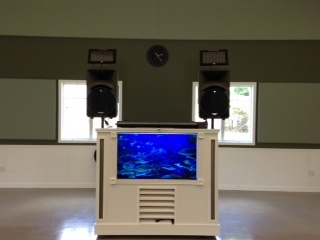 Ask about our TV screen for your bride and groom “memory video”! 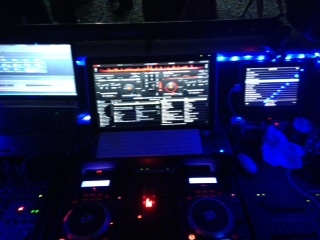 Only an AMAZING DJ can get the party going in broad day light!!! 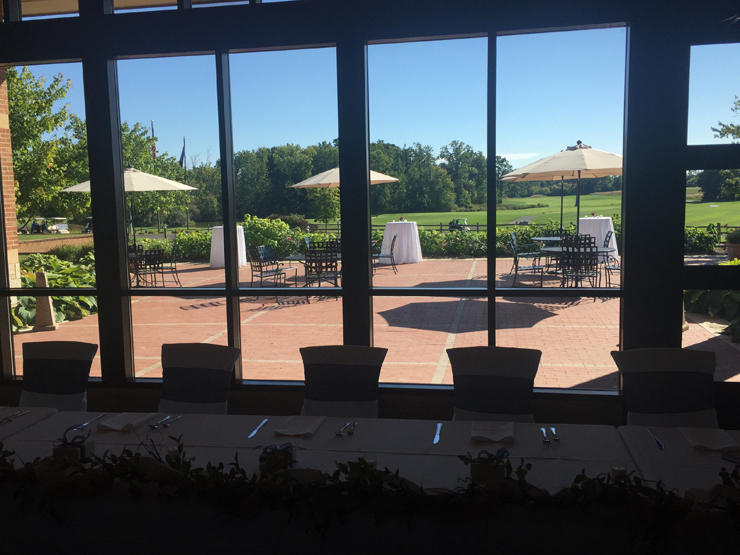 Ken Grose did an amazing job with both our ceremony and reception. I would highly recommend him to any bride. He was very easy to work with and extremely responsive. Thank you! Dear Ken & Rusch Entertainment! 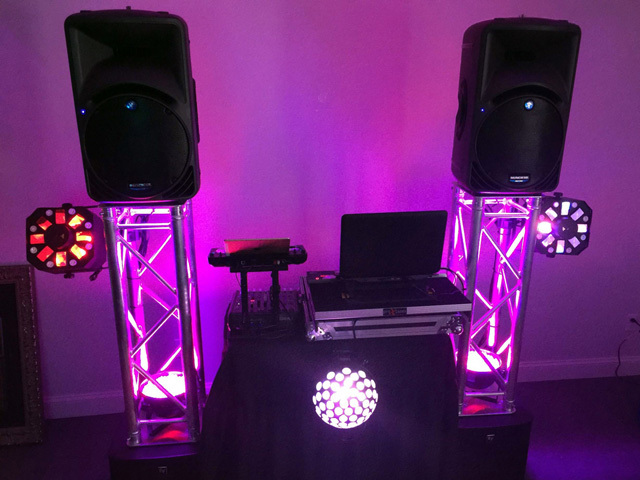 Thank you so much for doing such a wonderful job with the entertainment and lighting for our wedding reception. 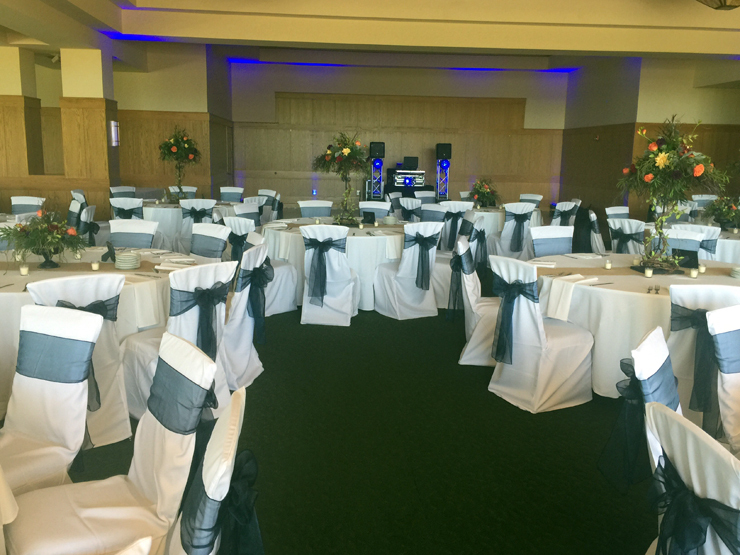 Our guests raved about the wonderful job DJ Ken did and we would recommend him to anyone! THANKS Again! 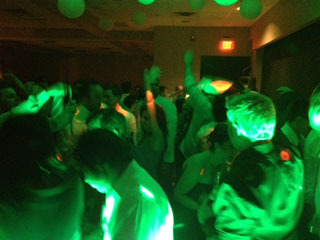 DJ Ken with Rusch Entertainment was awesome! We got married on 10/8/16 at Castle Farms in Charlevoix, MI. He showed up early, was friendly and easy to work with, and was attentive to us the whole night. 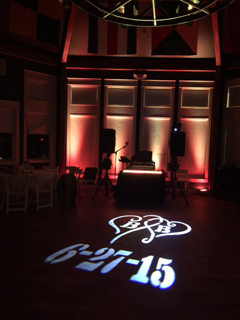 He kept everything on time, and kept the dance floor packed. 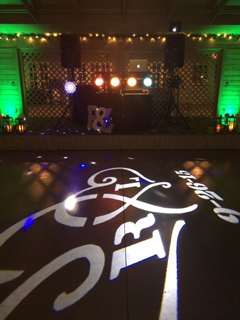 In addition, we had a very specific version of a song we wanted for our first dance that I was worried we wouldn’t be able to get – by the time I talked to DJ Ken about details the week of the wedding he had already found the correct version and was good to go. 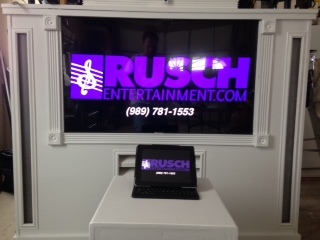 The guys at Rusch Entertainment were also very responsive and helpful with any questions I had before our big day! Their form makes sure you think about all the small details, which helped ease our minds with so many other things to think of! DJ Ken and his assistant DJ Thomas were AMAZING. We couldn’t have been more pleased with the both of them. They made sure to keep us on schedule, they were open to any changes and suggestions we made. Their up lighting made the queens tavern even more stunning. We had guest coming up to us after the wedding saying how great they were. So glad we went through Rusch Entertainment. Ken was absolutely AMAZING!! We had a phone meeting with him the week before our event and you could tell he really listened to what we wanted. He kept things fun and lively, but didn’t push things too much. 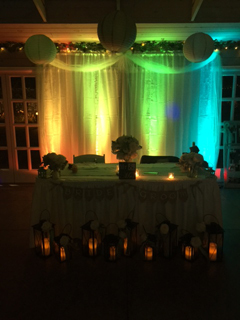 He also paid attention to our theme and vibe for the entire event. He really helped bring everything to life. Ken did an absolute amazing job!!! Everything went picture perfect! Thank you! 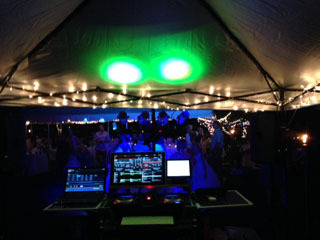 Our DJ, Ken Grose, did a great job. Our guests were very impressed and happy. He exceeded our expectations and was fantastic throughout our wedding. We will highly recommend Ken and Rusch Entertainment to others in the future. Thanks again for making our wedding great! 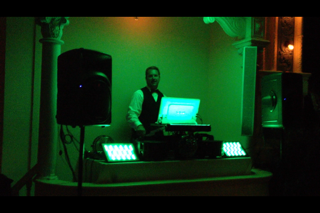 Our DJ, Ken, was amazing! He kept everyone dancing and happy all night! He was friendly, professional, and a pleasure to work with. 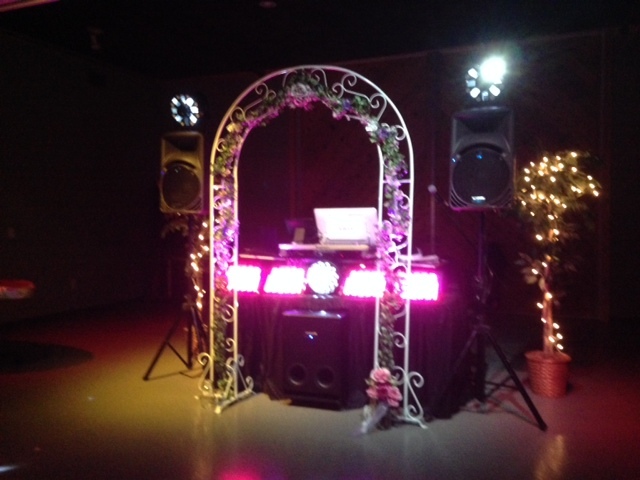 If you need a great DJ, ask for Ken! He did a great job! Thanks Ken!! You did a heck of a job! It was so much fun!!! You did an amazing job so thank you!!!!!! Everyone had such amazing time!! I was really bummed that everyone danced our last dance but the song you played last when we danced alone was so so perfect. Thank you for making it special!!! Jess and I wan’t to thank you for the amazing job you did for us!! Everyone had a blast and was still talking about you the next day at breakfast!! You really know how to read a crowd!!! Thank you So much! Ken DJ’d a public National Dance Day event in the park for me last year. He was fantastic! Not only did he need to play specific music for the performing dancers (from ipods to cds), but he also came up with great music to get the crowd dancing on the spot. The equipment he brought was state of the art and resonated throughout the park. Ken was a joy to work with, he was enthusiastic, attentive and creative. Our National Dance Day would not have been such a hit without Ken. Hi Ken, Judy and I just wanted to give you a BIG “Thank You” for the quality and quantity of the performance you gave at our Anniversary party. We had so many positive comments from the invited guests. You had a terrific music selection that satisfied a group of people from young to old. Thank you so much for the professionalism you displayed. Ken did an wonderful job meeting my students’ stringent demands. Professionally, I have enjoyed working with Ken. 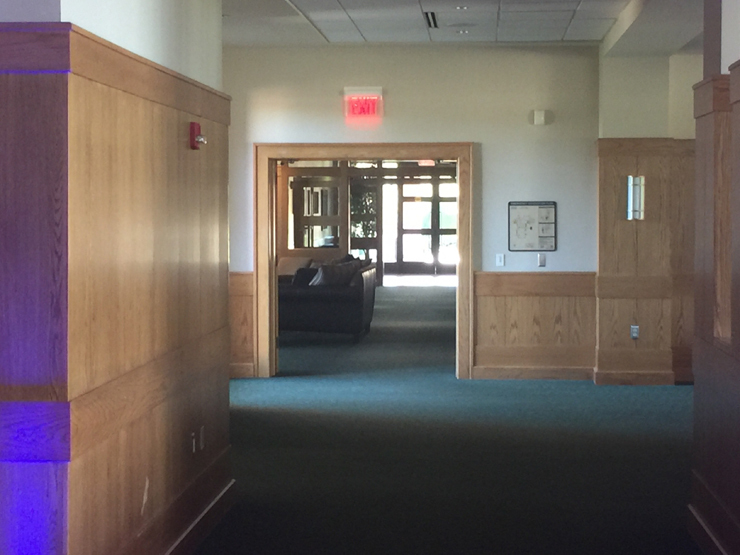 He has always been reliable, responding to my calls and email very promptly and showing up to events on time. Ken goes above and beyond the call of duty to ensure that his clients’ needs are met. 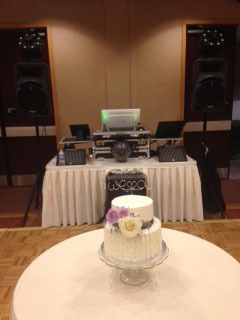 It is my pleasure to recommend his DJ services. 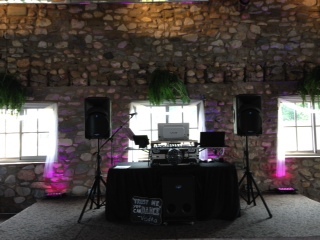 We can’t thank you enough for making are wedding rock are families were raving about the fun they had!!!!!! Seth and I are very happy to have found your services! Ken! I don’t know if I have enough time to articulate all of the wonderful things that I could say about you! 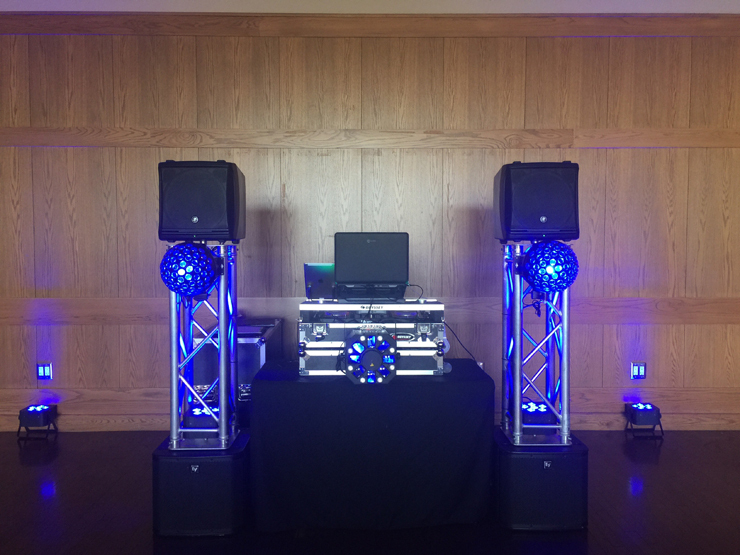 You have DJ’d several parties, including my wedding, for my family and we have always had guests comment on how wonderful you are. You helped us create a play list, walked us through what you were planning on doing, arrived on time/early and just plain exceeded our expectations! Anyone that doesn’t choose you for their function is not choosing the best! 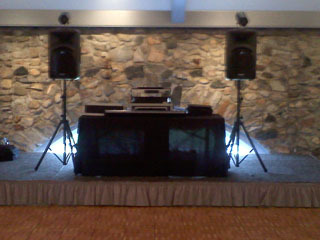 Ken did a great job setting up for our Girl Scout Party. The girls loved the karaoke and his assistant even taught the girls a new group dance. We would definitely ask him to DJ again.